Winter is just around the corner and while it is a season most of us dread, it’s a great time of year for hearty and delicious comfort food. The Adelaide Food Central team were invited along to the Eat Tweet and Street Progressive Dinner to celebrate the launch of new Winter menu items from The Colonist, The Mile End and The Unley. With bus transportation organised to each venue and plenty of food and drinks on hand, it was sure to be a great night. Our first stop was The Colonist on The Parade. This hotel uses only the freshest, seasonal ingredients with dishes that warm the soul and are inspired by Spanish and Asian flavours. 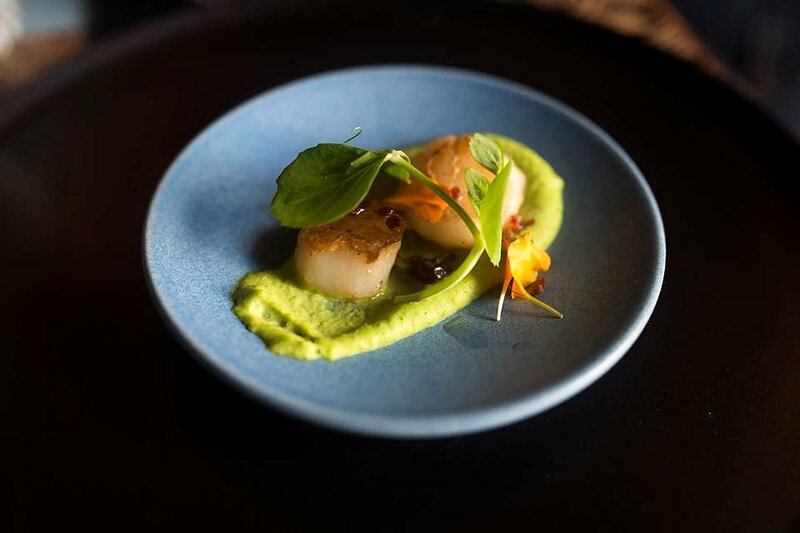 The first dish was Caramelised Scallops, which were pan-fried with a mint pea puree, sprouts and jamon crumb. The scallop was cooked perfectly and paired with the pea puree it was delicious and creamy. The jamon crumb gave a great contrast in textures and it was a wonderful start to the evening. 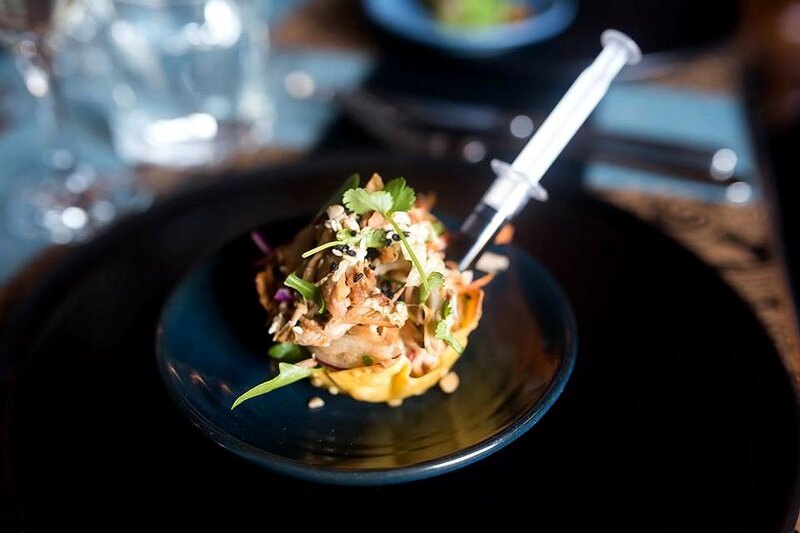 The next little taster we had was the Pulled Pork and Asian Slaw which was confit pulled pork belly in an open crisp wonton shell with a chilli soy and sesame dressing finished with crispy shallots and peanuts. I absolutely loved this dish. The wonton was so crispy and it was filled with the most delicious slaw and pulled pork concoction. The soy and sesame dressing brought the whole dish together. I also loved the addition of crunchy peanuts and shallots which made it the perfect well rounded dish. Lastly we had the Wild Rabbit Ragu. 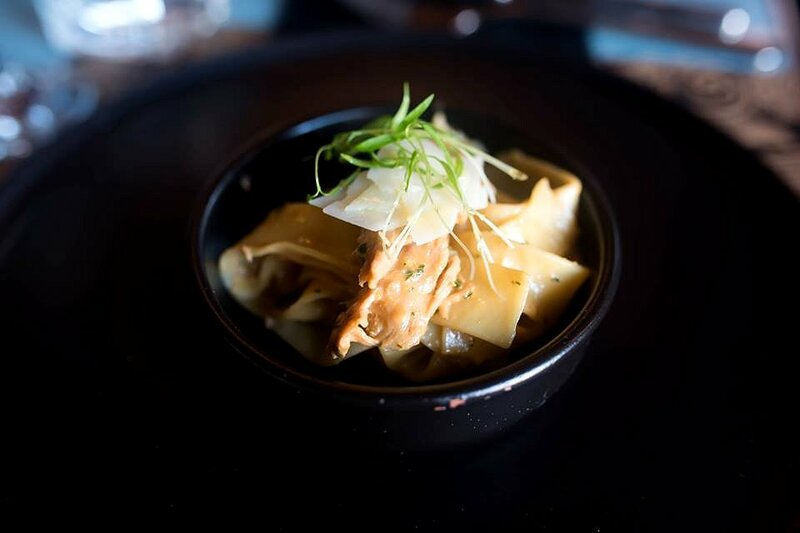 This was Wild Caught Rabbit slow braised with smoky Hahndorf bacon in a white wine, cream sauce & aromatics with ribbons of pappardelle. The only negative about this dish was that there wasn’t enough. The pasta was silky and cooked al dente. I normally find ragus to be very rich and filling, however this rabbit ragu was light yet packed with flavour and the meat was very tender. This would be the perfect meal for a cold Winters night. Our next stop was the Mile End Hotel where we had three other tantalising dishes to sample, first of which an Atlantic Salmon Nicoise. This was pan fried Salmon served with finger potatoes, goji berry and macadamia puree, green beans, steamed egg, dehydrated olives & heirloom tomatoes. This dish was gluten free and for the health conscious. The salmon was well cooked and seasoned correctly. I found that this dish was best when eating all the elements on the plate together as everything complimented each other. It wasn’t the typical winter dish you would expect but it was a great light alternative. We then had a Carbonade of Beef, which was dark beer braised beef cheek, potato mash, fava beans, Dutch carrots and jus. The star of this dish was definitely the jus as it was full of flavour and brought everything on the dish together. The beef cheeks melted in your mouth and it was such a rich and hearty dish. I wanted more and could eat a large portion of this any day of the week. 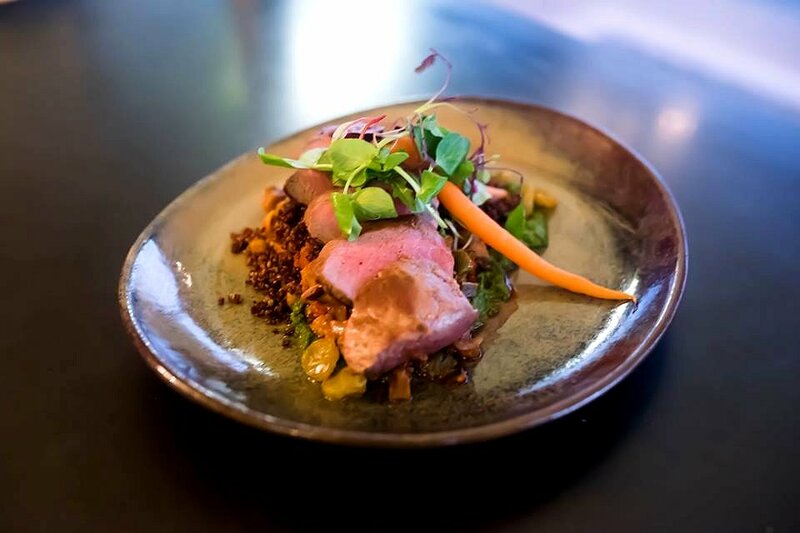 Finally the SA Lamb Back Strap was served with an oven-baked ratatouille, raisins and quinoa, black olive oil, Dutch carrots and sauce verde. This was my favourite dish by far. The lamb was tender and flavourful and I absolutely loved the ingredients it was paired with. The quinoa and raisins gave the dish some sweetness and texture and the sauce verde had the perfect amount of acidity and was out of this world. The dish was so well balanced and I savoured every mouthful. 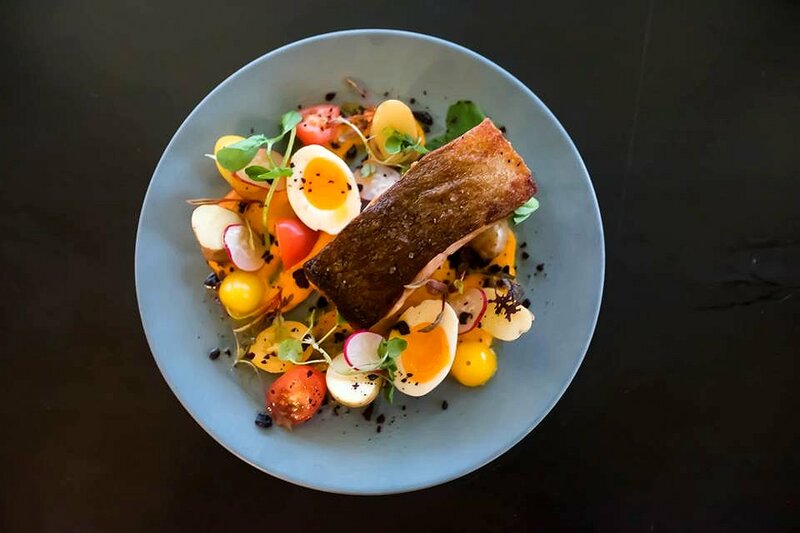 Each dish from the Mile End Hotel had bold, rich flavours and were executed perfectly. 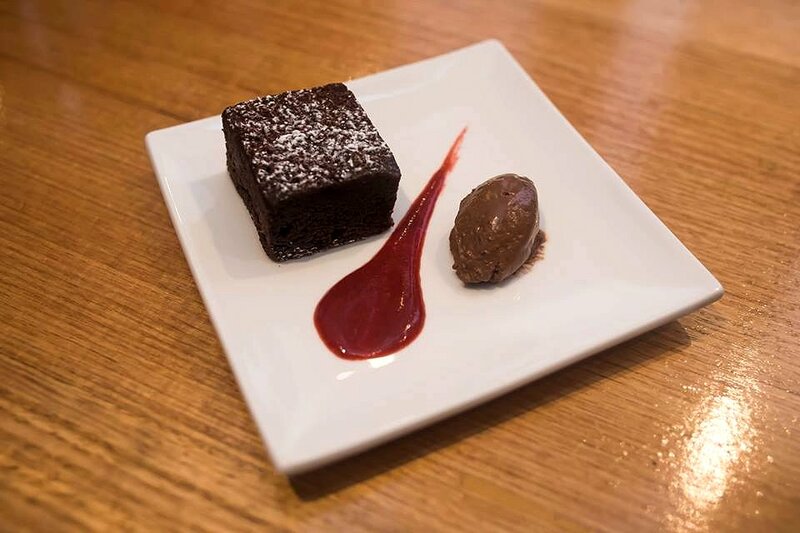 Our final stop was the Unley Hotel where we tasted what desserts they had on offer. 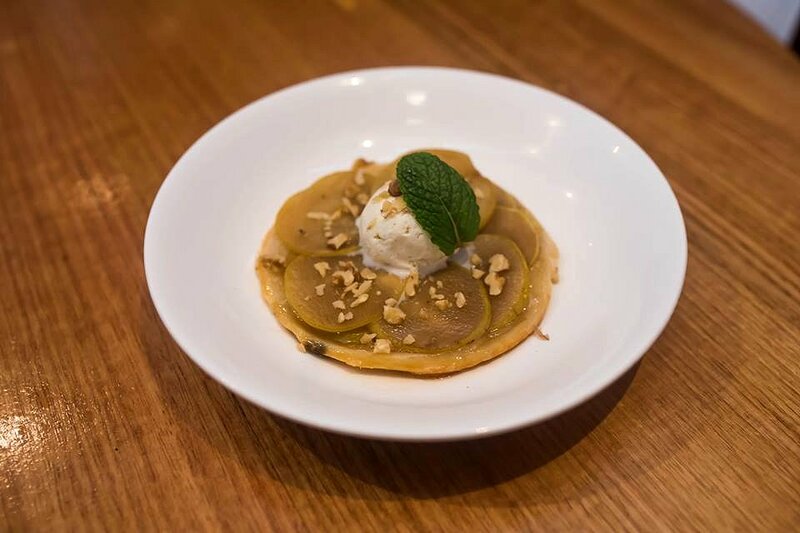 The Winter Nelis Pear Tarte Tan served with vanilla bean ice-cream was a great dessert. The puff pastry was crisp and I loved the caramelised pear. Paired with the vanilla bean ice cream, it was a great way to showcase this seasonal fruit. 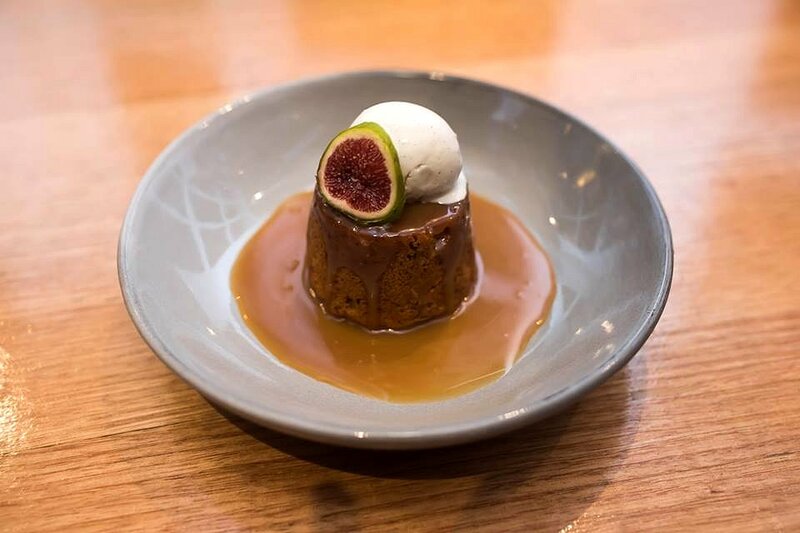 The Sticky Fig Pudding was served with a white chocolate and caramel sauce. It was fantastic. Not only did this dish look appealing but it was loaded with heaps of flavour. It had a really strong cinnamon and ginger taste and would be a perfect dessert for a chilly winters night. The spices throughout the dessert made it very comforting and rich with a great fig flavour. You cannot have a dessert tasting without something containing chocolate, well in my opinion anyway. The Flourless Chocolate Torte with whipped chocolate fudge and drunken strawberry coulis was so amazing. I am a huge chocaholic so this ticked every box for me. It had such a rich chocolatey flavour with a hint of coffee and the sweet and acidic drunken strawberry coulis really balanced it out. Not going to lie, I ate way too many serves of this dessert but I have no regrets. Overall this progressive dinner was full of such fantastic winter food and I was so impressed. Each of these hotels have amazing food on offer which is a real credit to the talented chefs. I would describe these dishes as simplistic and traditional with a modern twist. 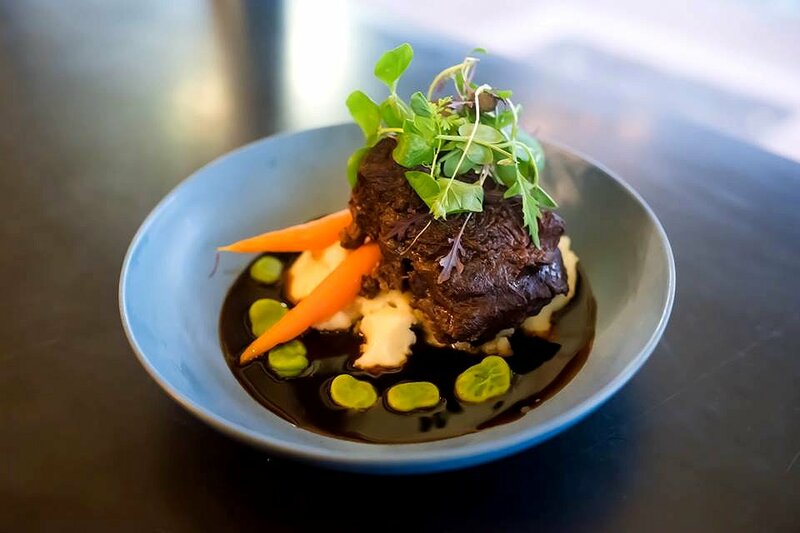 If this appeals to you, head on down to The Colonist, The Mile End and the Unley Hotel this winter for some delicious winter warmer meals.